Award-winning novelist Minae Mizumura demystifies the notion of the selfless Japanese mother and the adult daughter honor-bound to care for her. 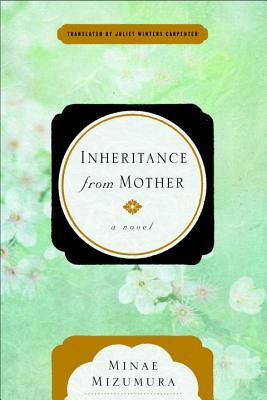 In addition to her husband’s infidelity, Mitsuki must deal with her ailing eighty-something mother, a demanding, self-absorbed woman who is far from the image of the patient, self-sacrificing Japanese matriarch. Mitsuki finds herself dreaming of the day when her mother will finally pass on. While doing everything she can to ensure her mother’s happiness, she grows weary of the responsibilities of a doting daughter and worries she is sacrificing her chance to find fulfillment in her middle age. Minae Mizumura is one of the most important writers in Japan today. Born in Tokyo, she moved with her family to Long Island, New York, when she was twelve. She studied French literature at Yale College and Yale Graduate School. Her other novels include the Yomiuri Prize–winning A True Novel, Zoku meian (Light and Dark Continued), a sequel to the unfinished classic Light and Dark by Natsume Soseki, and Shishosetsu from left to right (An I-Novel from Left to Right), an autobiographical work. Her most recent book in English, The Fall of Language in the Age of English, was published in 2015 by Columbia University Press. She lives in Tokyo. Juliet Winters Carpenter studied Japanese language and literature at the University of Michigan and the Inter-University Center for Japanese Language Studies in Tokyo. Carpenter’s translation of Kobo Abe’s novel Secret Rendezvous won the 1980 Japan–United States Friendship Commission Prize for the Translation of Japanese Literature, and her translation of Minae Mizumura’s A True Novel won the same prize for 2014–2015, making her the only person to have won this prestigious award twice.